With the recently released book, 'University of Nike,' Mr. Knight is taking a lot of heat. Unfoundedly, I say. 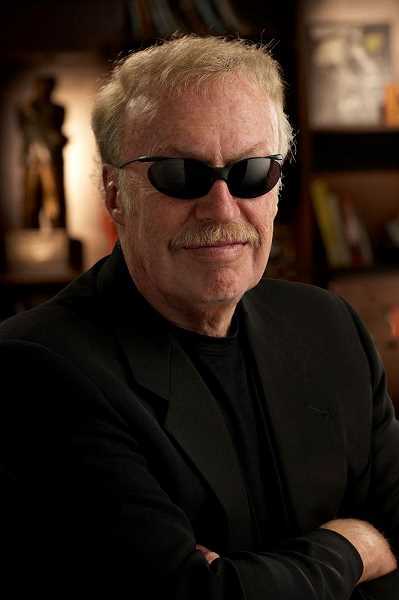 What's wrong with Phil Knight? That's the question I'm supposed to ask myself after reading and listening to commentary regarding Joshua Hunt's new book, "University of Nike." The book, which was released Oct. 23, paints an unflattering picture of the Nike cofounder's financial connection to the University of Oregon, and in the process questions the Portland native's motives, ethics and heart, pertaining to the Shoe Dog's relationship with the former Oregon attorney general and president of the University of Oregon, Dave Frohnmayer, whose wife has since denounced the book's accusation in an op-ed in the Eugene Register-Guard — regarding an incident in 2000 involving Knight, Frohnmayer and a charity directly tied to a disease which ultimately led to the death of three of Frohnmayer's children — saying the book "exploits my family's tragedy to support a false narrative." The book depicts Knight as a liar and master manipulator, and uses his relationship with the U of O as an example of what not to do for public universities looking for answers in the midst of financial distress. Sound about right? Not to me. I know it is, and always has been, hip to figuratively spit at the rich and famous. After all, it's well-documented the only thing society — especially ours in America — loves more than building someone or something up is to subsequently tear it down. But while doing so is even more popular in today's culture of social media, I prefer to look at things through a slightly less predictable, yet surprisingly more obvious lens when it comes to powerful people like Mr. Knight: The one that benefits us all. After all, in addition to the billionaires alleged lying, manipulating, and heartless practices, he's also — shhhh — done some good along the way. Knight is, according to the Portland Business Journal, the most generous philanthropist in Oregon history, whose gifts now approach $2 billion. He, along with his wife Penny, donated $105 million to the Stanford Graduate School of Business in 2006, and another $400 million in 2016 to start the Knight-Hennessy Scholars graduate-level education program, which admits and funds students into seven different graduate schools at Stanford, charged with tackling global challenges such as poverty and climate change. They've donated more than half a billion dollars to the University of Oregon for projects ranging from numerous cutting edge athletic facilities, the renovation of the Knight Library, the construction of the Knight Law Center, and in 2016, it was announced Knight and his wife would donate $500 million to the university for a new three-building laboratory and research science complex, as part of a series of large higher-education gifts. Oh, and lest we forget the $100 million donated to the OHSU Cancer Institute in 2008, or the $500 million pledge for cancer research, if OHSU could match it over the subsequent two years, in 2013, which they and ultimately he did. And then there's the $112 million in Nike stock gifted to charity in 2016. And that's just what we know about. Has Knight wronged someone on his way to fame and fortune? Likely. He's human. Has he made personal and professional mistakes? Sure. But all told, he's been an uber-successful business executive. And should he be subject to the same type of criticism the rest of us are regarding our behavior as it pertains to people, places and things in and surrounding our world? Absolutely. But at the same time, he shouldn't be held to a higher standard simply because he has more money. Knight isn't a saint, but no one is. He, like us all, is flawed. I don't know the man, and in fact, I have never met him. But in lieu of a personal connection, I'm left with what I've been told privately, in addition to what he's donated publicly. And that's not up for debate. So what's wrong with Phil Knight? I don't know, but as a popular saying goes: If he's wrong, I don't want him to be right.